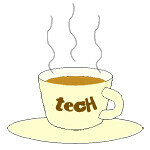 STYLUS « Tech bytes for tea? Olympus has unveiled two new cameras and three new lenses for Photokina 2012 (18-23 September). At the same time, it is consolidating all its compact cameras under the new STYLUS branding. None of the pricing is available yet. The Recommended Retail Price of the Olympus PEN Lite E-PL5 has just been announced. The new Olympus STYLUS XZ-2 with its selection of accessories. The PEN Lite E-PL5 has its own set of chic accessories. Photokina 2012 begins tomorrow and ends on Sunday. Below is a summary of the slew of cameras and lenses that Olympus has lined up for the biennial trade show in Cologne, Germany. Skipping the inauspicious number “4” in the Japanese language, Olympus introduces the E-PL5, the successor to the E-PL3.Available in October 2012 in Silver, Black or White. With product launch scheduled in the first half of 2013, the detailed product specifications are not determined yet.It will have the same snapshot focusing mechanism from the M.Zuiko DIGITAL ED 12mm f2.0 lens.It will also feature the MSC (Movie & Still Compatible) mechanism for fast, quiet autofocusing. This lens promises high resolution and contrast, as well as the ability to shoot close-up with 1x magnification.MSC mechanism for fast, quiet autofocusing.Dust and splash proof construction for secure shooting under poor conditions.Enhanced control with focus limit switch and indicator window. Available from early October 2012.